Two Queens artist studios provide a flexible, affordable and supportive space for the continued practice of emerging artists in Leicester. Two Queens studio spaces are intended to provide a flexible, affordable and supportive space for the continued practice of emerging artists in Leicester. We offer a range of studio sizes and types with prices starting from £57.50/month. A 10 percent discount is available to artists within their first year of graduating from university. All spaces benefit from 24/7 access, wifi, bills and rates included. 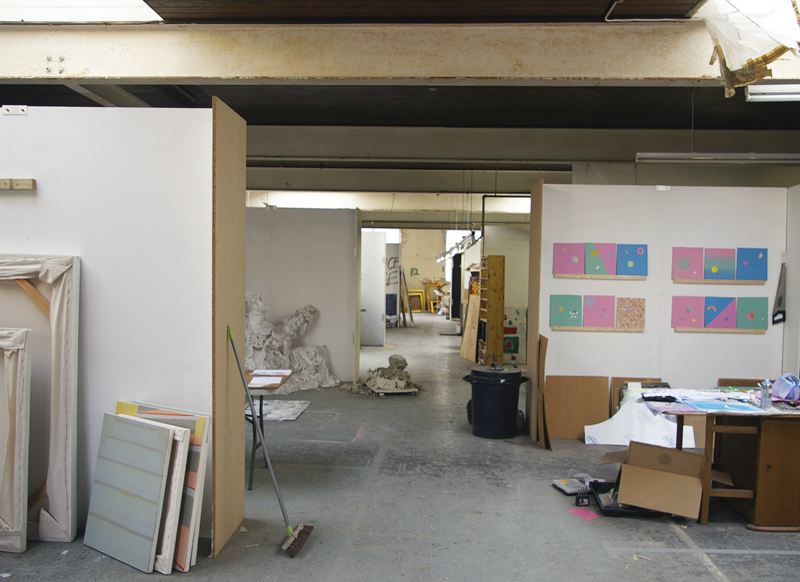 Studio holders have first call to take part in discussions, critiques and studio events. Minimum studio occupation period is 3 months, a deposit equal to one month’s rent is required at time of moving in. If your application is successful but the studios are at full capacity we will add you to our waiting list, after which all applications are reviewed each time a space becomes available.